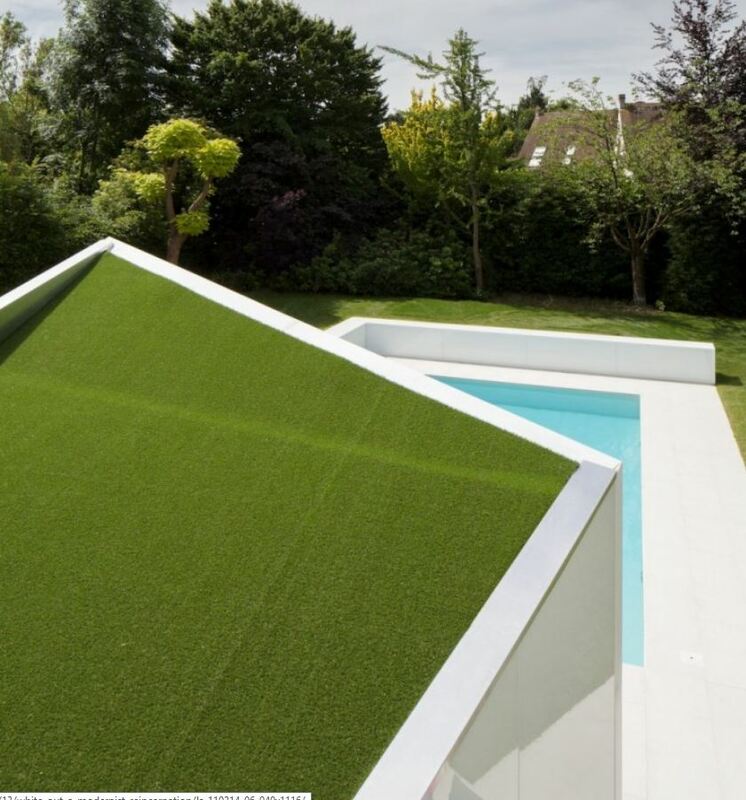 This house is located in the outskirts of Brussels in Belgium. While clearly this style of house is not common in Sydney we have decided to include the design as it could be modified for a variety of different architectural styles. It could also be appropriate for the adaptive re-use of warehouses or halls with gable roofs. The Architects DmvA were commissioned to transform this classically styled house into a contemporary building. The fact that the neighbours were required to approve of the design, as prescribed in the building regulations, had a great impact. The intervention had to be as minimal as possible. 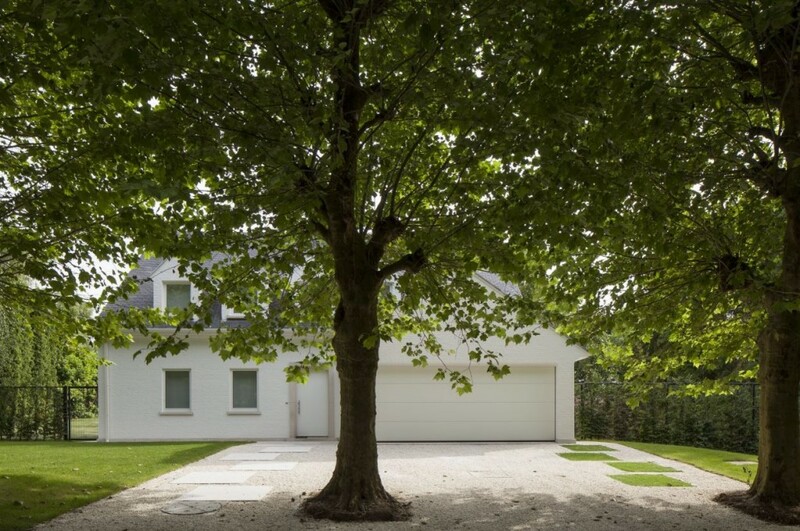 Very few interventions were made to the façade and the existing house was then painted white. The swimming pool was renovated and framed by an illuminating glazed ‘retaining wall. Two angular sculptural white volumes were added connecting inside and outside, linking house, pool and garden. A perfect example when the project limitations become it’s strengths! Not only are the additions angled in their facades, but their roofs are also slanted upward, maximizing the views and the natural light flowing in by means of the massive glass walls. A green roof adds another layer of lushness. The interior has been painted black and white. Visible though the expansive glazing, the minimalist interiors appear awash in white. 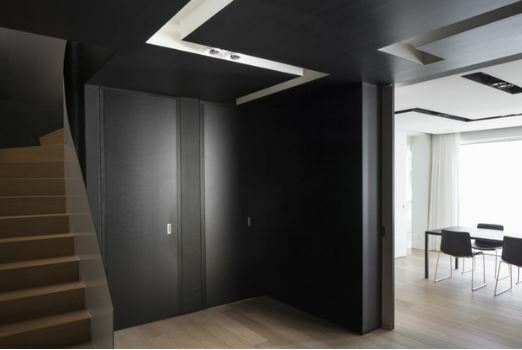 However on entry, there is a dramatic twist with black walls and ceilings, opening onto the white space you see from the outside.